Let your keys be furnished with some cool yet culturally ethnic wall hanging. 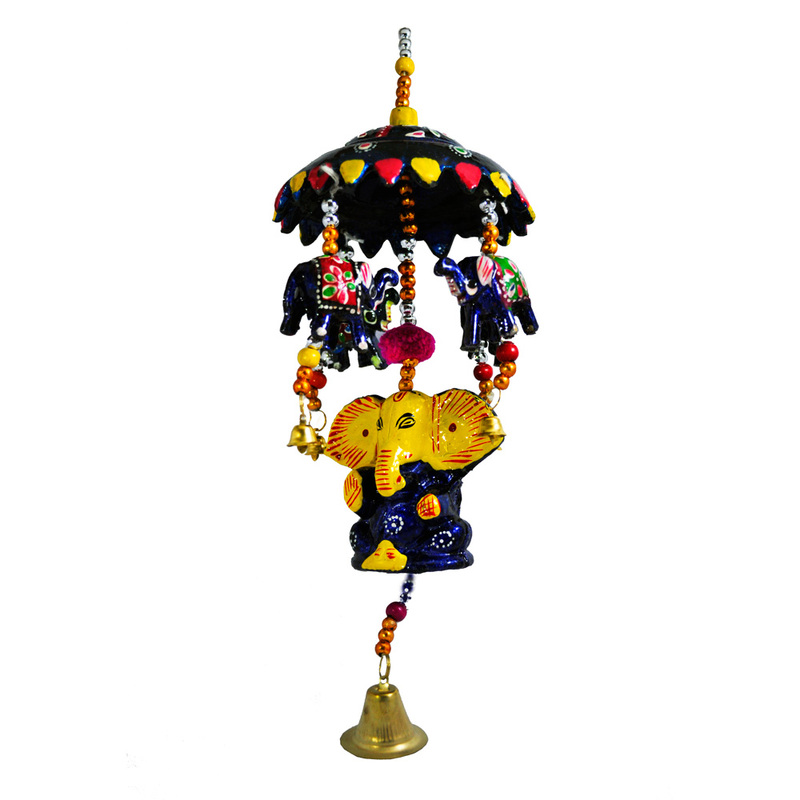 This wall hanging has been made with wooden materials, painted colorfully. 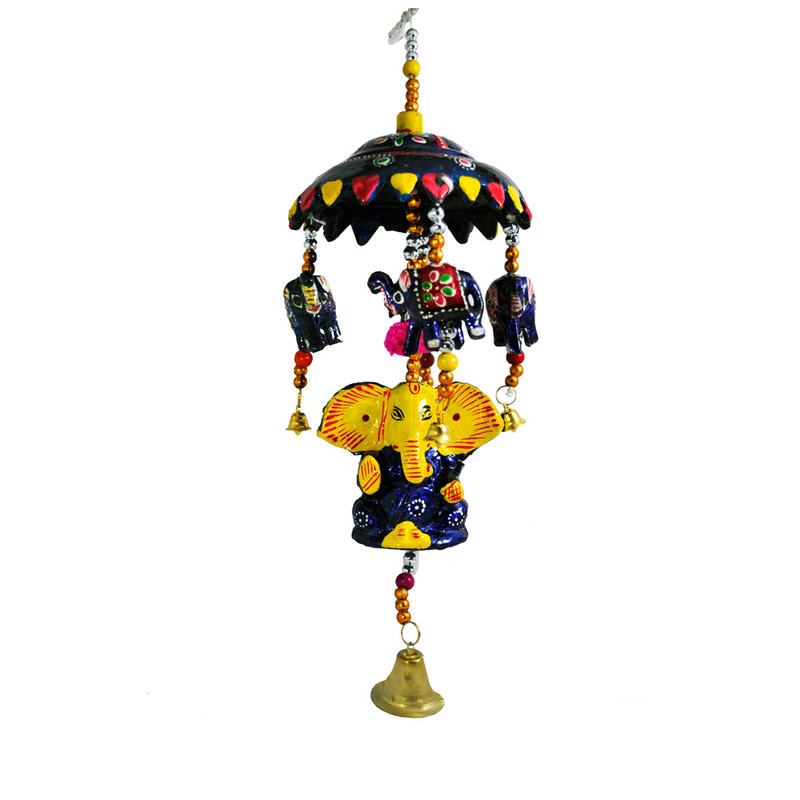 Ganeshji Read More..here holds an umbrella from which elephants hang artistically to give the entire piece a glorified look. Show Less..